In this article, a special case of Rural Technology Action Group (RuTAG) is illustrated, where a cost-effective and easily adaptable feed block production machine is designed to make it suitable for rural community and strengthen the rural economy of India. A case study is presented to establish a conceptual link between RuTAG, inclusive innovation and Sustainable Development Goals (SDGs). Here, we have enunciated two hypotheses; Hypotheis1: RuTAG is creating an inclusive innovation platform, Hypothesis 2: RuTAG’s initiatives are fostering implementation of SDGs. Based on a case study approach, we will try to verify both the hypothesis. 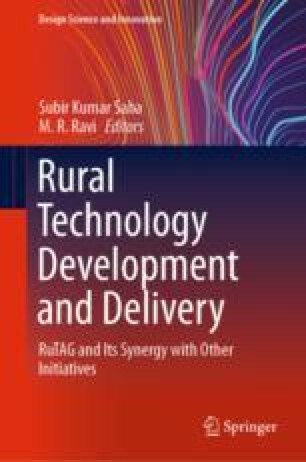 The study is expected to bring new perspective to policymakers in India as well as other developing nations for future planning in rural technology.